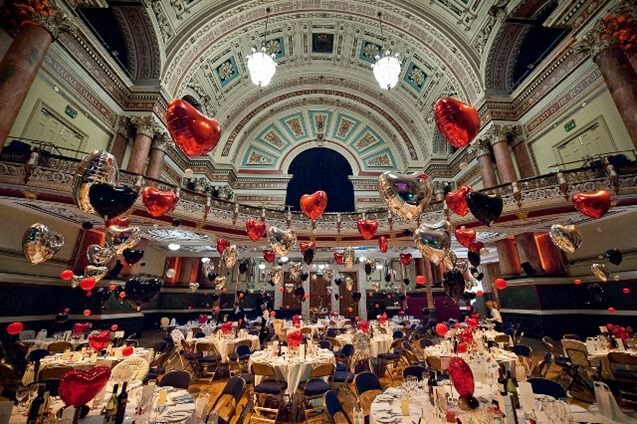 Rachel and Nick always wanted to have their wedding reception at Leeds Town Hall. 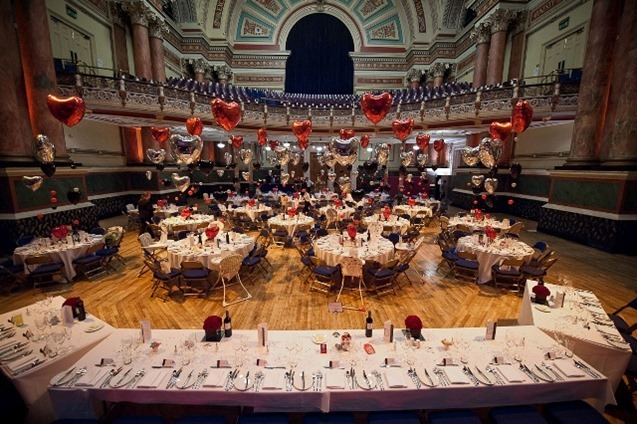 Leeds Town Hall and within it the Victoria Hall is a stunning venue, the decoration is ornate and glamorous, which is what appealed to the happy couple. 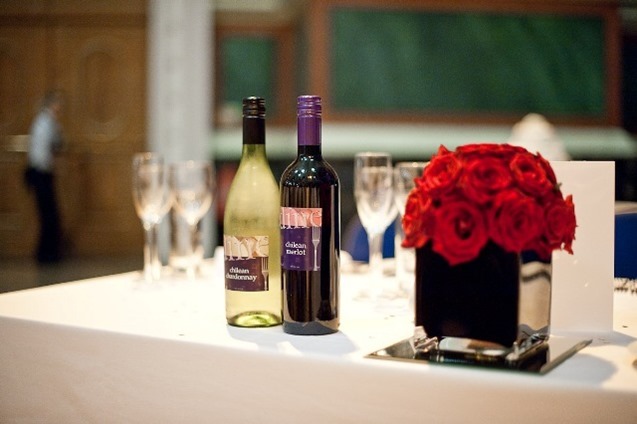 Rachel & Nick had set ideas of what they wanted for their special day and worked with their Dine Event Manager to give their 160 guests a wedding they would not forget. 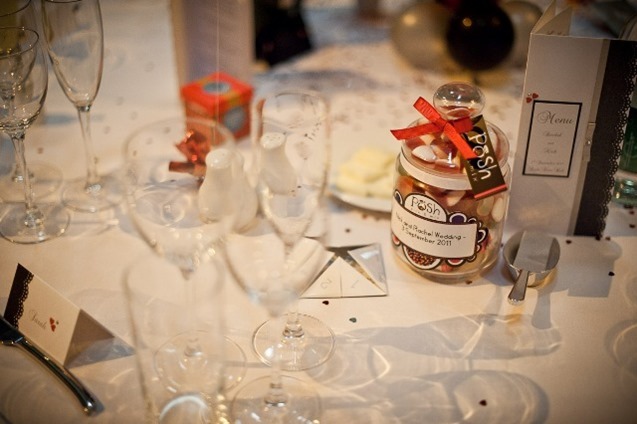 Rachel & Nick and 20 of their immediate family attended the Civil Ceremony held in the Brodwick Suite, then the rest of the guests arrived to be greeted with a sparkling wine reception. 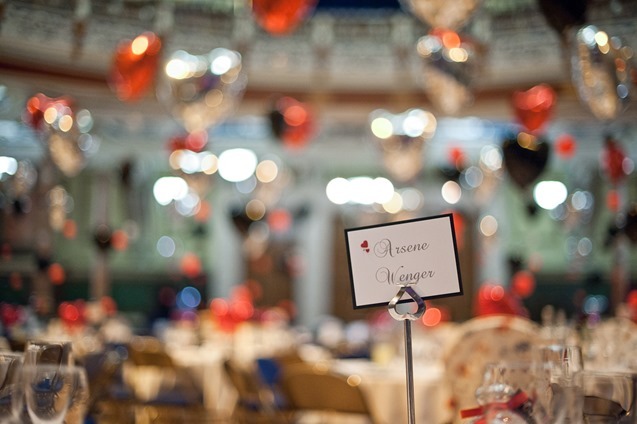 After several photo shoots, the guests were called into the Victoria Hall which was filled with the most amazing black and red helium balloons of all shapes and sizes adorning the tables. The guests then enjoyed a delicious three course meal with the main course being Barbecued Chump of Lamb, and the children tucking into Cumberland Sausage Rings with Creamy Mash Potatoes. An over filled cheese board with water biscuits, grapes and celery finished off the wedding breakfast. “Fairy Liquid”, the children’s entertainer, were doing their stuff in one of the side rooms keeping the children occupied during the speeches and later into the evening. Part of the Best Man’s speech was a safe that Nick had purchased about 10 years ago. It is a combination lock and Nick accidently closed it 10 years ago and had never been able to open it, so the task for the evening was if any guest could find the combination, they would win £100. As coffee was served the fabulous “Singing Waiters“ appeared, this was a surprise to all the guests. In the evening the ABBA tribute band commenced their set and the whole dance floor immediately filled with guests throwing some shapes. Later in the evening hot Bacon and Sausage Sandwiches were handed out by the staff and the guests departed at midnight.